(Photo courtesy of BYU Athletics) BYU freshman cornerback D'Angelo Mandell will make his first start of the season on Saturday when the Cougars take on UMass in Foxborough, Mass. 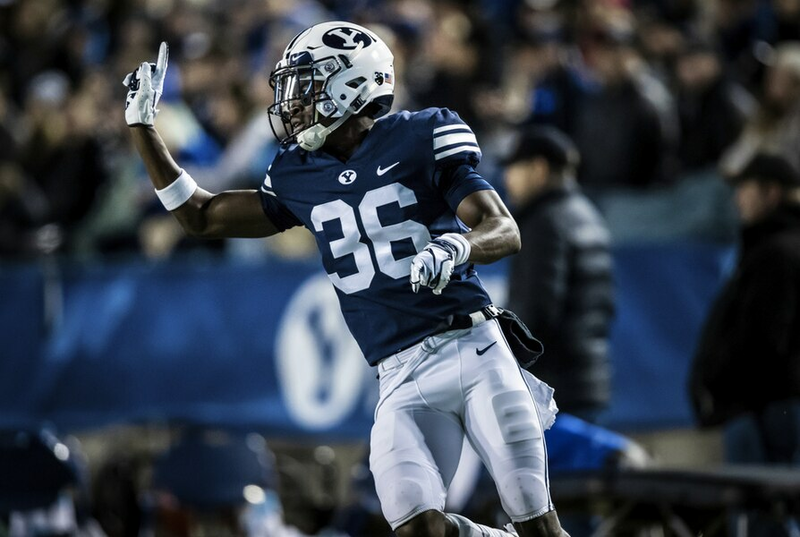 Provo • After leaving BYU’s football team in the summer of 2017 because he “just wasn’t ready to be here,” the defensive back known at the time as D’Angelo Gunter bagged groceries at a Sprouts store, was a busboy at a sushi restaurant and worked as a shoe salesman in the greater San Diego area. 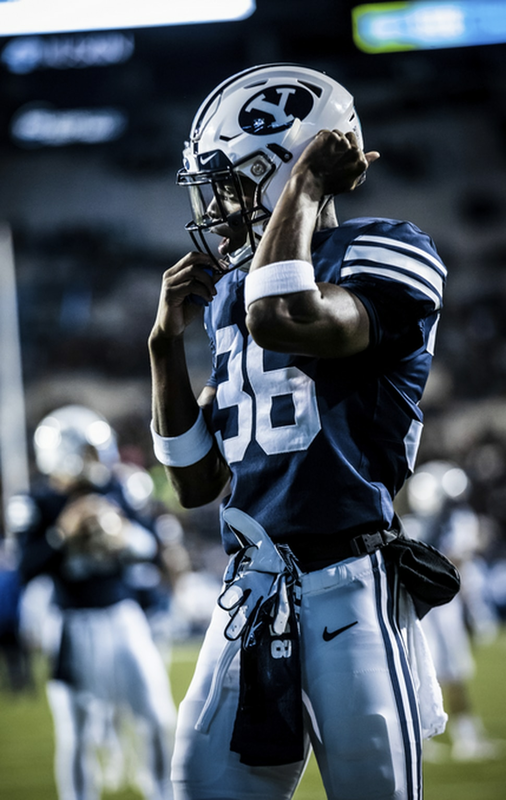 Then the former football and track standout at Del Norte High realized that playing football at BYU was for him, and that abruptly leaving in the middle of preseason camp in 2017 after signing with the Cougars in February of that same year was not the best move he’d made in his difficult life. At the urging of BYU assistant head coach Ed Lamb, cornerbacks coach Jernaro Gilford and others, Gunter returned to Provo last June, grateful for the second chance. He’s now listed as D’Angelo Mandell on the roster, having changed his last name to the name of the family that took him in when he had a falling out with his biological parents years ago. Mandell said he hasn’t talked to either of his parents in years. “No contact at all,” he said. That’s too bad, because the redshirt freshman could relay some good news for them this week. Mandell will start at right cornerback on Saturday when BYU plays UMass at Gillette Stadium in Foxborough, Mass., home of the NFL’s New England Patriots. He’s appeared in all nine games and started in two, but has been elevated to full-time starter because junior Chris Wilcox suffered a season-ending injury last week at Boise State. Gilford said the 6-foot-1, 175-pound Mandell has “no choice” but to be ready. Fellow freshmen Keenan Ellis, Isaiah Herron and Jaylon Vickers could also see more playing time at cornerback. Malik Moore has been moved to safety, defensive coordinator Ilaisa Tuiaki said, noting that Mandell will start against the Minutemen. Mandell said his first stint in Provo lasted less than three months. He expects this one to last a lot longer. Why did he leave? When he decided to return to school and football, Mandell talked to Montana and other schools, but BYU coaches “were there with open arms” and he returned on June 24.